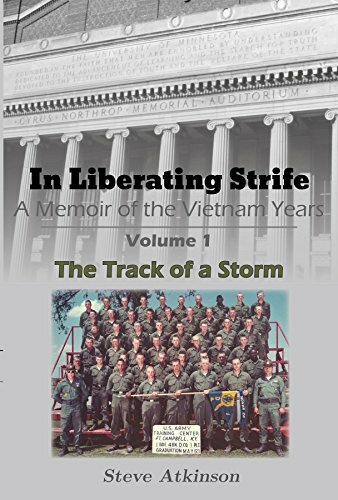 Atkinson analyzes the pros and cons of the disturbances—communism, thermonuclear weapons, racial conflict, women’s rights, Selective Service practices, illegal drug use, and the antiwar movement—along with trying to find a lifelong mate—in this memoir. He digs up minutia that ought to register a touch of nostalgia among those who lived through the era, and his thoughts might teach a lesson or two to people unfamiliar with those years. A week after completing graduate school finals, Atkinson became an Army draftee. The book’s second half describes his military training (nothing new here except a drill instructor who becomes a friend) and gives equal time to his relationship with wife-to-be, Bev Minear. He quotes from their letters and spends a lot of time on how they opened each other’s eyes to the enjoyment of intellectual pursuits. He convinced me that they definitely were made for each other. Suffice it to say that Atkinson did not enjoy Army life. In October 1969, three weeks after finishing AIT, Atkinson went to Vietnam. In Liberating Strife, Vol. 2 (631 pp. $36.99, paper; $7.49, Kindle) he tells the story of his role in the war. Trained as an infantryman, Atkinson ended up as a clerk typist. During his year in-country, he served at Lai Khe with the 1st Infantry Division Adjutant General; at Di An in the Message Center; and at Long Binh with the 16th Public Information Detachment. Initially, he worked a twelve-hour, seven-day-a-week schedule. As American units deactivated because of Vietnamization, his workload diminished to an hour a day. He filled his free time by writing letters, reading, watching movies, and listening to music. By mail, Bev and he doted over classical literature and music. His vices were drinking beer and limited dope-smoking. He describes his gun-toting duties as follows: “Standing guard on the rear perimeter [at Long Binh] is among the experiences that I remember most vividly. I knew it was highly unlikely there would be any trouble, yet there was still the remote possibility that I might be called upon to kill a man that night—an agonizing decision.” Atkinson puzzled over how fate had put him “in this strange little corner of the world,” but was pleased that it played out as it did. Actually, Atkinson’s heart and mind never left Minneapolis. He intersperses accounts of his activities in Vietnam with information from Bev’s letters and other hometown sources. As he did in Volume 1, he analyzes historical events pertaining to the war and the strengthening of antiwar sentiment. He frequently writes more about problems regarding Bev, his family, and Minnesota than those of the war. “The most important and beneficial lasting legacy of the Vietnam War was the abolition of the military draft,” he writes. “The draft is both an unwarranted imposition on individual liberty and too powerful and dangerous a tool to put in the hands of our elected leaders.” He labels it “involuntary servitude.” Throughout both volumes, he offers other controversial pronouncements. In Atkinson’s case, love conquered all: Bev and he have been married since he returned from Vietnam. 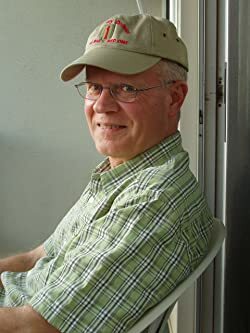 Atkinson, a member of Vietnam Veterans of America, focuses his book on their long-distance romance and underplays the war angle. That choice—and his job assignment— eliminated suspense and drama from his story. The two volumes contain nearly 400 photographs, most taken by Atkinson, and illustrations, all of which were new to me. He shot large batches of pictures on R&Rs to Tokyo and Hong Kong. The collection includes more than two hundred pages made up on three scrapbooks that partially tell his story by themselves.